The Terramar Museum is a museum of history and archaeology at the center of Kralendijk. A visit to the museum takes you through 7000 years of history! from the earliest Amerindian settlers to the age of exploration and the colonial era. 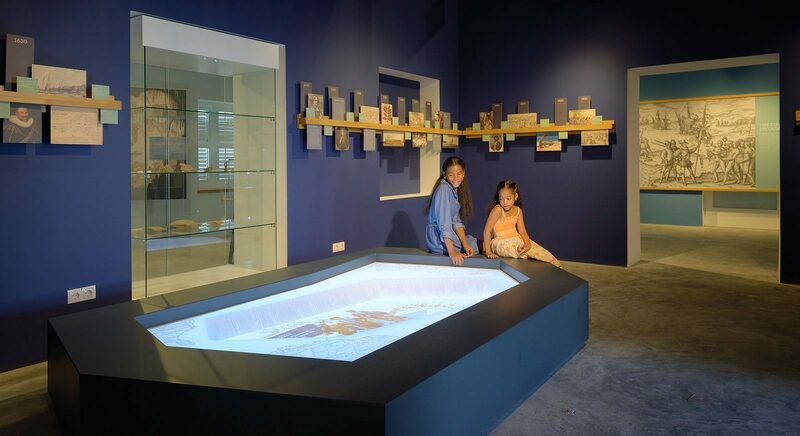 From the moment you enter the museum, you will discover the fascinating history of Bonaire and the Caribbean region through spectacular expositions, fascinating artifacts, 3D reconstructions and interactive experiences. The museum is open from Monday through Saturday, from 9 am to 6 pm. You can easily find the museum at Terramar shopping mall in the center of town. You can get to the museum via the Kaya JNE Craane (the Boulevard) and the Kaya Isla Riba. On our website: www.terramarmuseum.com you can find information about the museum, the collections, activities, events, and much more. We'd be delighted to see you at Terramar museum.